Having a child at the table for mealtime is a little like inviting a wild beast into your home: you hope for the best, but you know she will probably be leaving destruction and chaos in her wake with food flying and various items strewn about the floor. Ezpz‘s all-in-one placemats make mealtime a little more predictable and a lot less messy since these silicone mats suction directly onto the table and come equipped with a plate/bowl or sections to minimize dishware getting tossed around. Designed by a mom, ezpz products were crafted from silicone with important and convenient safety and durability features: they are BPA, PVC, and phthalate free, microwave and dishwasher safe, don’t corrode or deteriorate like plastic, can be stacked on top of each other, and can easily be cleaned with warm soapy water, since silicone doesn’t support the growth of bacteria or mold. 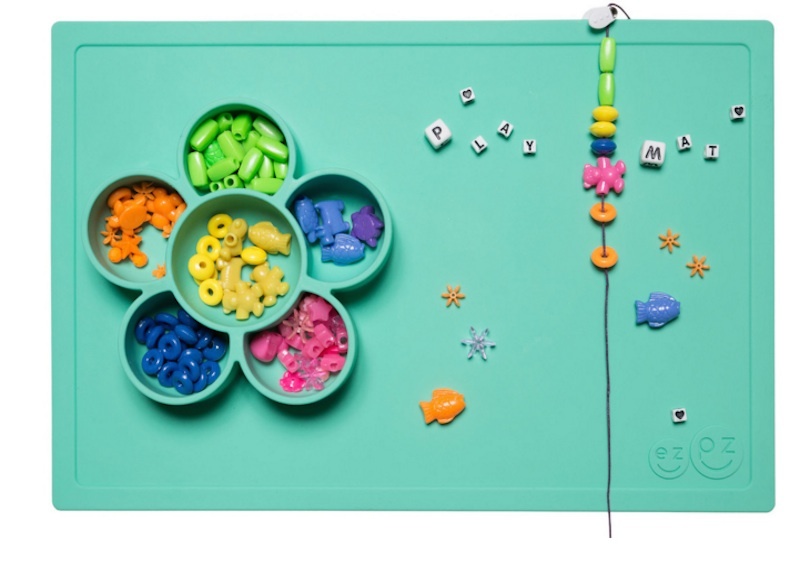 Plus, the mats are pretty to look and they have functions beyond mealtime! Available in vivid colors such as bright blue, coral, lime, pink, mint, and gray, ezpz mats also come in several shapes and sizes. 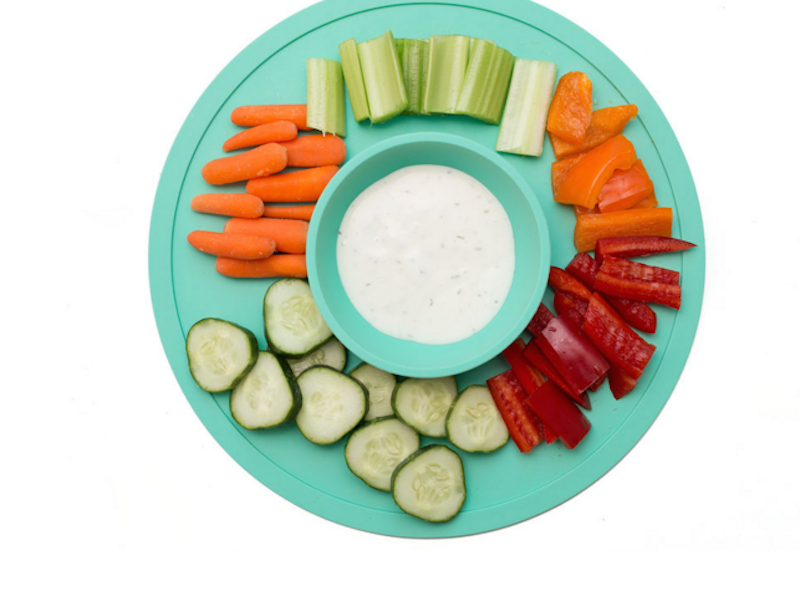 The happy mat (which make creating faces with your child’s food a cinch), is ideal for mealtime and for keeping foods divided for pickier eaters. The happy bowl is ideal for soups or cereals, and the playmat,which features a sweet flower shape to divide art supplies, is a great option for keeping kids at the table while others are still eating or to simply make sure that all of those beads or play-doh creations don’t end up all over the floor. Ezpz even made micro mats for keeping kids occupied at restaurants and on-the-go and a snack mat for serving hummus and veggies or salsa and chips. Having a child at the table for mealtime is a little like inviting a wild beast into your home: you hope for the best, but you know she will probably be leaving destruction and chaos in her wake with food flying and various items strewn about the floor. Ezpz's all-in-one placemats make mealtime a little more predictable and a lot less messy since these silicone mats suction directly onto the table and come equipped with a plate/bowl or sections to minimize dishware getting tossed around. Designed by a mom, ezpz products were crafted from silicone with important and convenient safety and durability features: they are BPA, PVC, and phthalate free, microwave and dishwasher safe, don't corrode or deteriorate like plastic, can be stacked on top of each other, and can easily be cleaned with warm soapy water, since silicone doesn't support the growth of bacteria or mold. 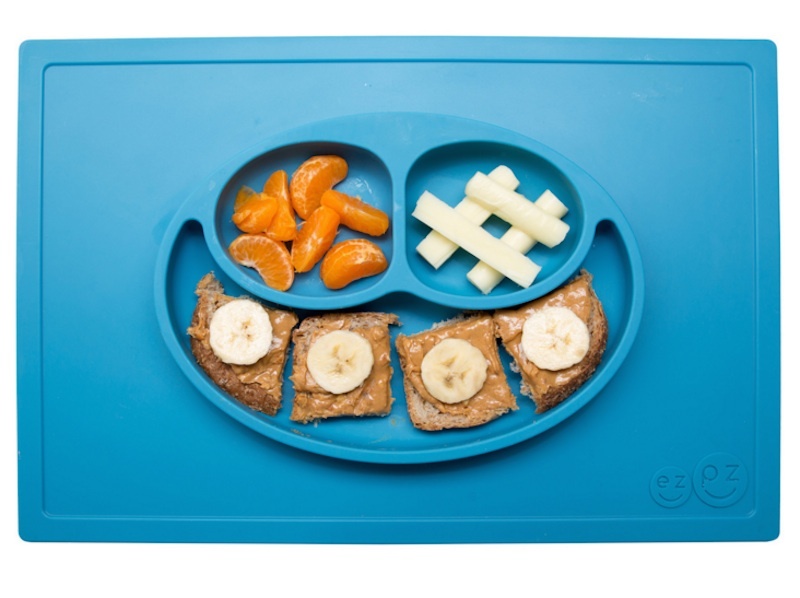 Plus, the mats are pretty to look and they have functions beyond mealtime!